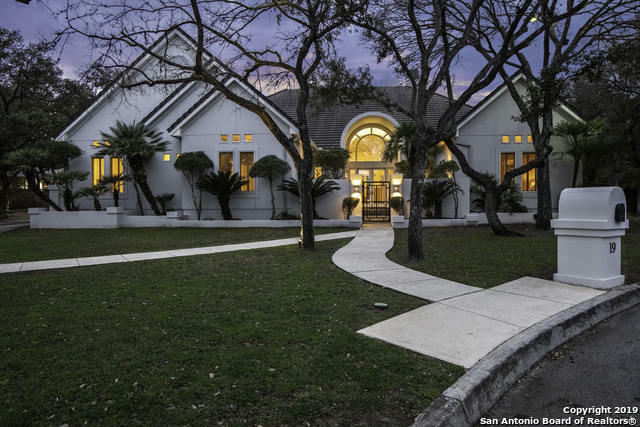 All PARMAN PLACE homes currently listed for sale in San Antonio as of 04/24/2019 are shown below. You can change the search criteria at any time by pressing the 'Change Search' button below. "Looking for luxury in the perfect entertaining house? THIS IS THE HOUSE! Imagine walking into 4153 sqft with high ceilings and huge island kitchen, chef worthy appliances in a Viking stove and sub zero fridge, bar area in living room perfect for your dinner party and dining room designed to seat 15 plus people. Split floorpan with dual masters also offers the perfect multi generational lay out. 2 fireplaces and a media room. Updates throughout including 2 new ac units March 2019 and more"